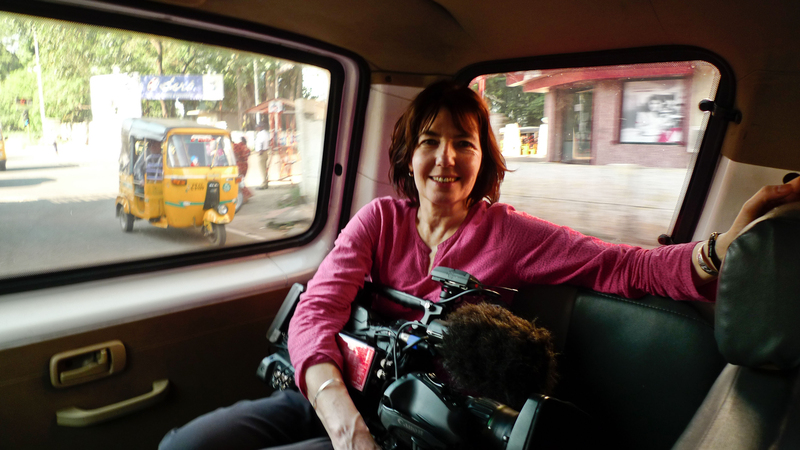 We’re delighted that multi-award winning documentary filmmaker Kim Longinotto will be joining us at the very beginning of the Symposium to give a Masterclass for students. Kim, pictured here on location in India for her recent film Salma will be sharing her advice on filmmaking in the Zen Room at the Atrium (CB403) between 2-5pm on Wednesday 5th November. Seating is limited, so make sure you turn up on time!